Looking for a new Uberti firearm? 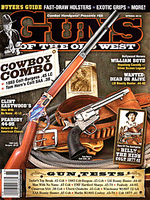 See product reviews about the latest and best firearms features in these articles from nationally recognized magazines. 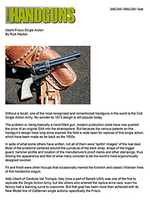 These articles, columns and reviews were authored by shooters, hunters, and outdoor experts. They have personally field-tested the guns they write about, and their opinions and insights will help you select the right firearm for your shooting interest. "Uberti Chisholm .45 Colt" from Guns of the Old West"
©2019 Uberti. Site by Gray Loon.